Back in 2012, a video surfaced on the internet of a disembodied hand emptying an entire bottle of ketchup effortlessly, with just a slight twist of the wrist. Even more intriguing, the inside of the bottle was almost entirely spotless. Just a single drop of ketchup remained by the end of the 15-second clip. The video went viral. 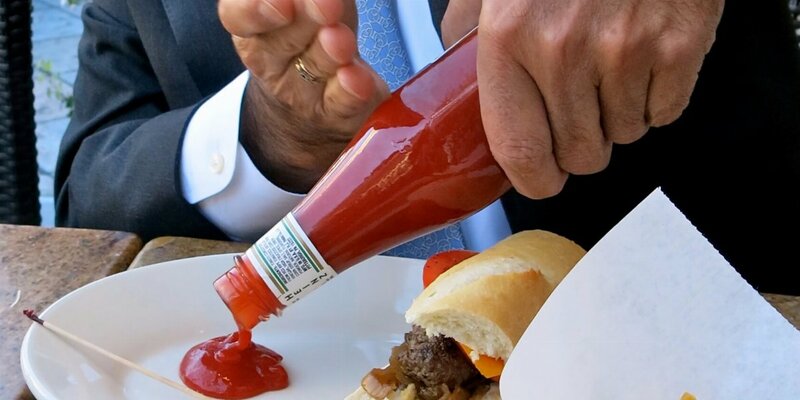 News outlets and social media proclaimed the era of banging on ketchup bottles to be over. What made that bottle of ketchup so slippery? The secret sauce, in a manner of speaking, was a super-slippery coating named LiquiGlide, developed by researchers at the Varanasi Research Group laboratory at MIT. However, as with any laboratory breakthrough, it takes a long time to go from the moment of “eureka!” to store shelves. But now, nearly five years after their video went viral, LiquiGlide inventors Dave Smith and Kripa Varanasi are now poised to bring their revolutionary coating to market. The pair now lead their own company, the eponymous LiquiGlide Inc., devoted to finding new applications for their invention, which they describe as a “permanently wet, liquid-impregnated surface.” The company is already working with over 30 clients to adapt their slippery coating to numerous production processes and consumer goods, with such brands as Elmer’s and Heinz lining up as potential customers. First, a textured solid is applied to the inside surface of the container. This solid layer contains evenly spaced features that anchor the top liquid layer in place. It’s this top layer that repels the ketchup (or what have you), leaving nothing for the ketchup to grip on its way out of the bottle. What is truly remarkable about LiquiGlide is its potentially revolutionary impact on the recycling industry. Fervent recyclers know to rinse out empty bottles and cans before putting them in the recycling bin, yet many others either skip this step or simply aren’t aware of it. This forces recycling companies to either rinse out containers themselves or discard them entirely if too much food or other residue remains. Recycling companies would also benefit from this new technology. “Containers coated with LiquiGlide are also less of a hassle for the recycling plants because it also saves these facilities time, water and energy,” said Smith. Big-name brands are intrigued by this prospect as it will allow them to ship more product in smaller recyclable containers, lowering transport costs and fuel emissions. As an added bonus, consumers are more likely to replace products faster if they can easily tell when they are getting low, which LiquiGlide finally makes possible. But before LiquiGlide finds its way into your home, it must first make its big debut. As of writing, the company believes the first consumer products to take advantage of its signature coatings will be lotion, mayonnaise and toothpaste. Keep your eyes peeled the next time you are at the supermarket, and you might just see a LiquiGlide container on a store shelf near you. 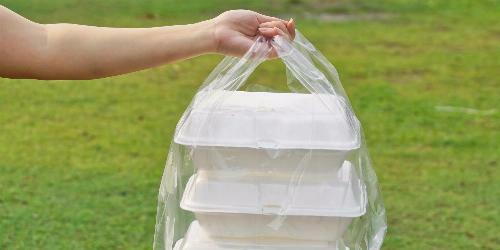 There’s no reason not to donate your restaurant’s leftovers. Take a second to learn how groups like Food Donation Connection can help you start your own donation program. The average U.S. college student produces 142 pounds of food waste per year. 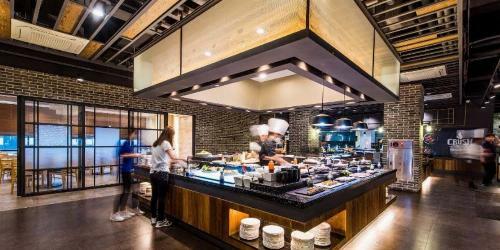 Fortunately, the best methods for reducing this waste are extremely simple. Here are four refreshingly commonsense strategies for curbing food waste in colleges.